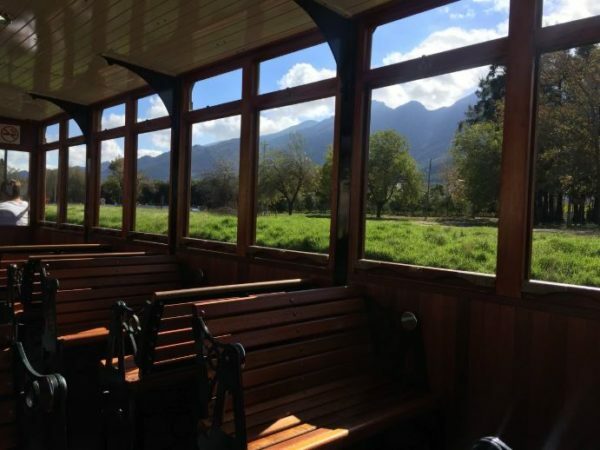 The most unique way to experience one of the Western Cape’s most famous wine valleys, the Franschhoek Wine Tram, has just added two new lines to give guests even more trip options. The hop-on hop-off Tram tour is the best way to explore the Franschhoek Valley, from its picturesque vineyards to its unparalleled scenery, warm hospitality, world-class cuisine, and fine wines -not to mention its 300 years of history. 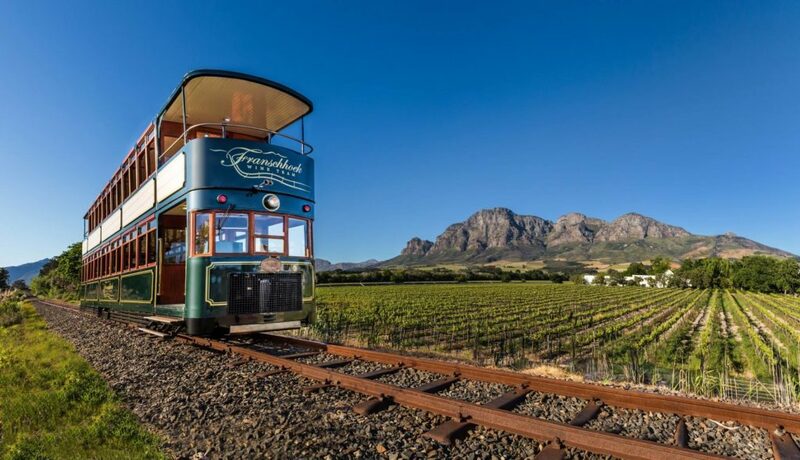 The Franschhoek Wine Tram has a total of eight routes to choose from, all travelling through different corners of Franschhoek and stopping at various wine estates and restaurants along the way. The trams on the new lines, called the Pink and Grey lines, accommodate fewer passengers per journey. The two lines offer guests a seat on the “baby tram”, a vintage brill tram that holds a maximum of 32 passengers as opposed the 76 the double tram accommodates. 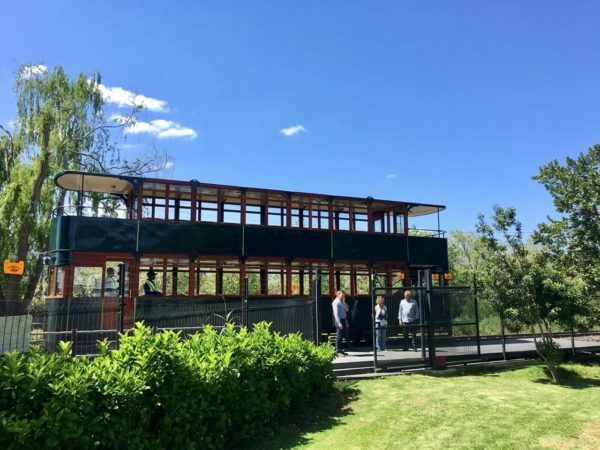 On top of its newly-added routes, the Wine Tram also recently added new double-decker trams that offer even better views of the Winelands. A combination of tram and tram-bus transports passengers around a loop of stops, allowing them to hop off at places they want to visit for a wine tasting, cellar tour, lunch, or just a stroll through the vineyards. When they are ready, they simply need to hop back on a tram to continue the tour. 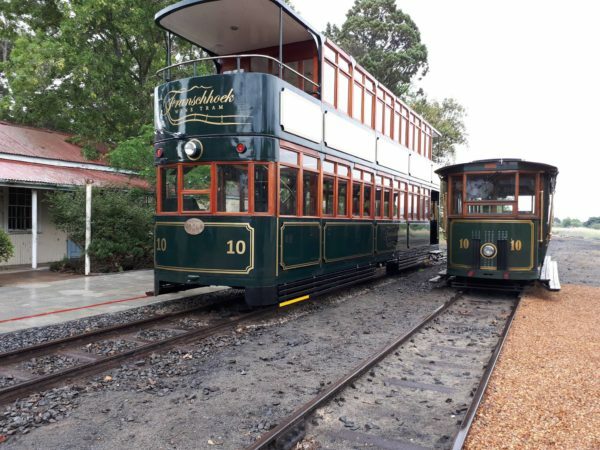 The tour takes guests into the scenic heart of the Franschhoek Valley, and the history of the town and wine cultivation in the valley is narrated to the tram passengers. It is an ideal outing to do with friends or family. 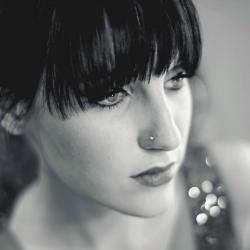 Tickets cost R240 per person. Check out the lines’ timetables here.